Most of us have taken some sort of leap of faith. We took leaps of faith when we left our parents’ homes, their care, and their nurturing to find our ways in the world. Most of us left homes with happy expectations. We expected college will lead to a successful career; we will have new fulfilling experiences and that we will find joy in our life forever. This was another leap of faith. Marriage is a huge leap of faith. A leap faith that the one we have chosen or consented to marry will be a life-long, caring partner. Let’s say we are offered a new and better paying job in a distant city. If we take it, will life be better? Choices always require a leap of faith. 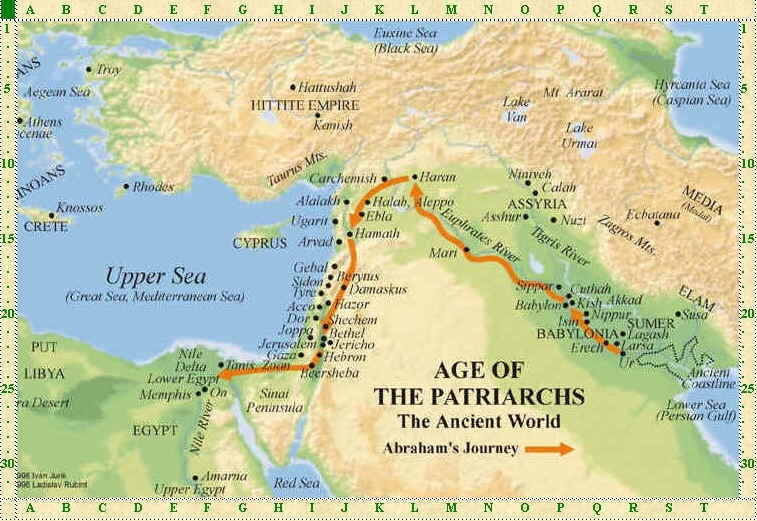 Evidently there are all sorts of faith leaps, and the story of Abraham and Sarah is one that eventually leads to epic proportions. Scholars may reduce the biblical stories of the patriarchs and matriarchs in the Book of Genesis to mere allegorical myths. Regardless, they teach the world, even in this century, about making a leap of faith. In these stories we read of extraordinary leaps into the unknown. The characters seem to jump into an abyss and have no idea where they will land. Yes, of course, they have a promise, a covenant, but really, to leave the comfort of home, to overcome the disabilities of age, and to peer into the darkness of future takes courage many do not have. Faith, we learn in these stories, is a leap into the unknown and it is for those who are willing to think in terms of infinity. Individuals can have all sorts of faith; they can have faith in science to answer all their questions, they can have faith in new age symbols and practices to ease fears, they can have faith in politics to assure the future, and they can have faith in nothing. Generally having faith in science, the new age religions, politics, or no faith at all, the individual probably thinks the landing is sure if not safe. That is because all human systems have a particular surety about them. In science the practitioner uses the scientific methods of exclusion with confidence to determine whether a theory will be confirmed or nullified. With new age systems, outcomes can be imagined and in imagination realized. In politics someone’s future is assured, but usually not everyone will benefit. Abraham’s and Sarah’s leap of faith is mind-boggling. Think about what they did. They uprooted a family, listened to the voice of God and engaged God on a personal level, changed their names, and then said goodbye to everything they had known. Very likely, their neighbors saw all this as lunacy. That’s the other part of a leap of faith—the faithful may be labeled crazy. 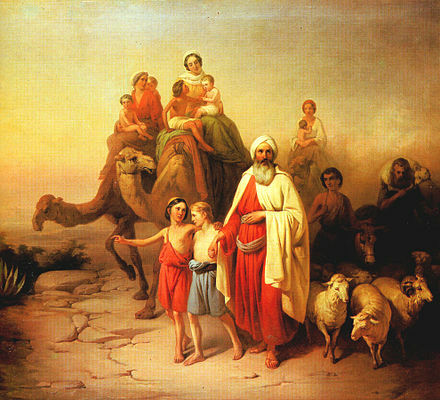 We don’t know what Abraham’s and Sarah’s extended family and neighbors actually thought when he picked up their belongings and left the security of a thriving river city of Haran to travel south. Maybe, they saw it as a wise decision. There the valleys widened and resources expanded. So, okay, the move was not so much a leap of faith as it was a good economic move. The patriarch and his wife were newly ordained to be the source of kings and nations; to be the parents of us all. came first and for Paul that trust superseded all human institutional requirements for a new beginning for all. Other beliefs expressed in today’s world do not come with God’s covenant of grace. Science may and does answer the questions of physical existence, the imagination of the power of crystals and pyramids may help some find contentment, and politics may provide answers to governance. But the faith of Abraham to leads is the grace of God and the promise of divine reconciliation and freedom to love and care for the world. As Mark reports it, story of Jesus rebuking Peter and calling him “Satan” is also a story of faith. Jesus is distressed over Peter’s lack of faith or thinking in the same terms of those who have faith in systems. To be clear, it does not appear in the Gospel story that Jesus is calling Peter evil, he is telling Peter that when we are not faithful to the promise of God, evil is the victor and it is evil he demands to get behind and back into the shadows. Peter fails to understand there can be no salvation until Jesus goes to Jerusalem to be nailed to the cross. In that act of sacrifice Jesus has faith God will be reconciled with humanity. 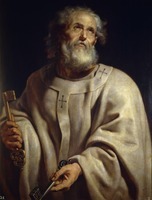 Peter must, if he is to be a follower of Jesus, faithful to the mission. It is a faith similar to that of Abraham’s and Sarah’s. With Jesus, Peter is walking with God into the unknown. He must make the patriarch’s leap of faith when he departed from comfort and surety to become the father of us all. Peter wants to postpone the inevitable. The political and religious systems the majority either adhered to or depended upon do not allow for challenge. Jesus’ message of a nearness of the rule of God, a new understanding of humanity’s relationship to God, was against institutional correctness. The Romans maintained order by judicial and tyrannical systems of Government. The religious of the time and place maintained order by the unrelenting demands of legal righteousness. Jesus, however, taught a better way. To the institutionalists, there was and could be no better way. The irony, if that’s the proper word, is that the message of the nearness of the compassionate God preached by Jesus was always within the people’s grasp. For example, in Psalm 22, verse 23, they were taught, “For he does not despise nor abhor the poor in their poverty; neither does he hide his face from them; but when they cry to him he hears them.” This ancient assurance that God cares and hears required a profound faith. But the religious institution maintained that God only cared if propriety was maintained. The Roman oppressors demanded adherence to the god that mattered residing in Rome—in other words, the state—and defying that god was treason. 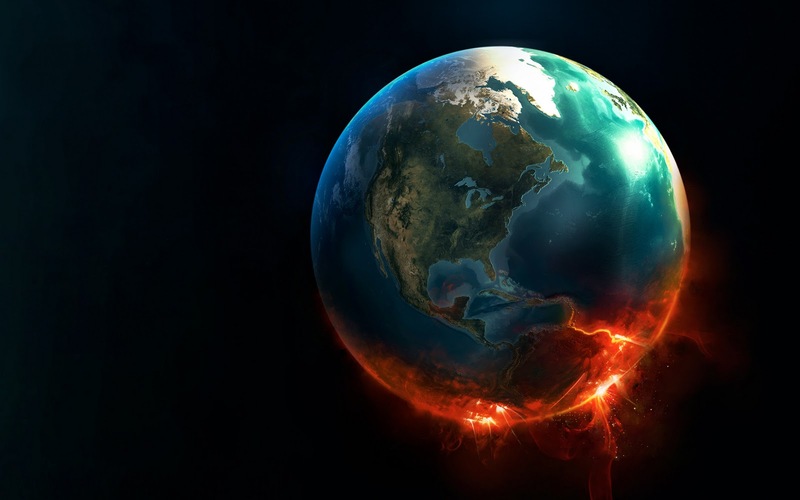 When the only means of dealing with the world is through intellect, rage, oppressive control, and imaginary outcomes, it is easier to believe there is no escape from the wrath of the gods or the randomness of the universe. It is easier to believe there is no assurance the poor will be heard or cared for. People throughout human history have believed they instead would preempt outcomes and become the wrathful gods and masters of the world. Such masters, through rage, oppressive control, imaginary outcomes, believed they would enjoy the false promises of indifferent science, religious charlatans, and political thugs. The promise of God, however, is not material. It is release from the powers of Satan to a life beyond the imaginable, a life in which sin and death has no power—the life of grace through faith. It is not my intent to be anti-intellectual or anti-science. I am making only reference to the idea of venerating science as a substitute for faith in the Divine and the message, life, death, and resurrection of Jesus Christ.